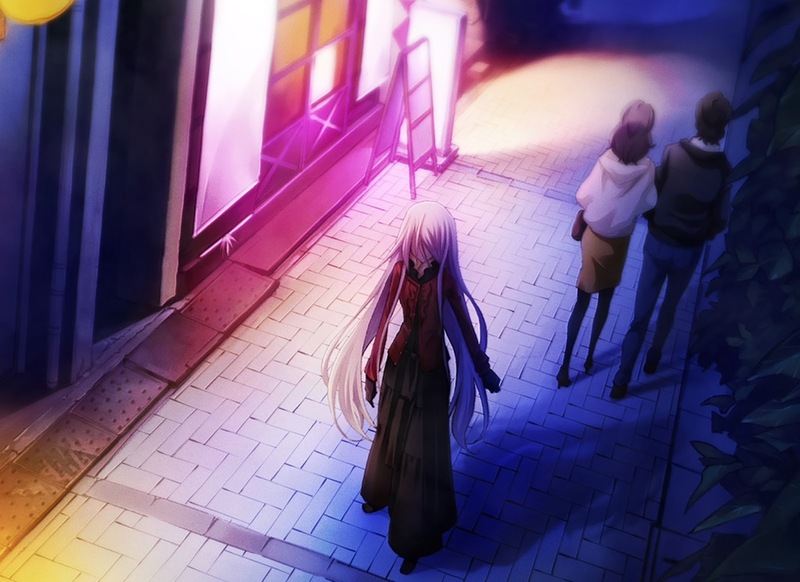 Chaos;Child is loosely related to one of the (if not the) greatest visual novels ever made, Steins;Gate. 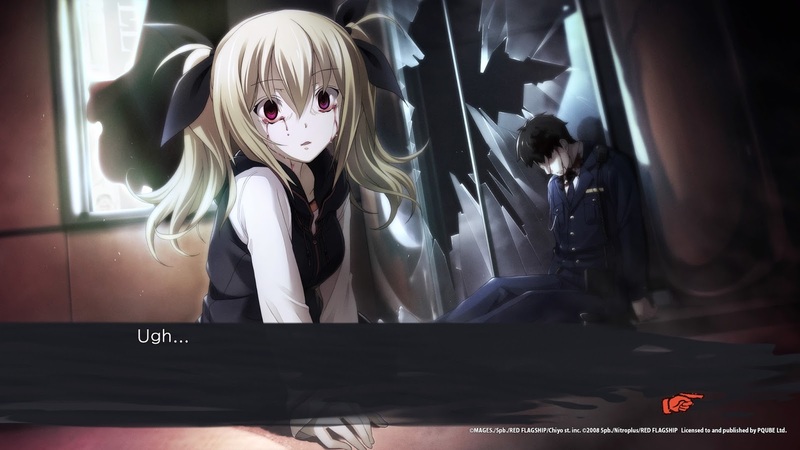 Developed by MAGES and 5pb, Chaos;Child also belongs to the Science Adventure Series from the development duo - a series of science fiction games that seek to greatly normalise the science fiction by presenting it in completely normal terms within very familiar settings and environments. Related reading: Here's Matt's review of Steins;Gate, from the same series as Chaos;Child and considered one of the greatest visual novel's ever. Steins;Gate and its sequel dealt with time travel. Chaos;Child is a sequel to Chaos;Head (though you don’t need to have played the original to follow the plot of this one), and instead focuses on the ability to alter reality around you. But Chaos;Child is also a darker, more horrific story, and it’s one that will stay with you well after you’ve finished playing. It might not be as intelligent or deep as Steins;Gate (though that will be largely down to subjective interpretation), but boy will this game stay with you. In very simple terms, it’s a crime fiction story with a very strong thread of horror running through it. Like the classic Hollywood film, Se7en. Yes, let’s go with that. Chaos;Child is Japan’s Se7en. There is a murderer afoot, and it’s not just that he, she or it is killing people. It’s that they’re copycatting a string of murders that took place a couple of years ago… and somehow the murderer is convincing people to do things they just never have would have otherwise. I’m obviously not going to give away the plot, but I’m comfortable relating the first murder because it happens in the opening moments of the game: a popular streamer accidentally kills himself when he is deluded into mistaking his arm for a lump of cheese. He cuts it off, live in front of his audience, and then nibbles at it. Eventually the delusion drops, he realises what he has done, screams in agony, and drops dead. Gruesome, right? Though we are spared the greatest of excesses in Chaos;Child’s still images, there’s still more than enough by way of visual highlights to make it clear that this is not just a murder mystery; it’s a particularly violent one. So of course the next thing we know is that we’re in control of a school kid who has taken it upon himself to investigate what’s going on. The narrative goes all kinds of places from there, but no hints from me; following this particular rollarcoaster along is a real thrill. 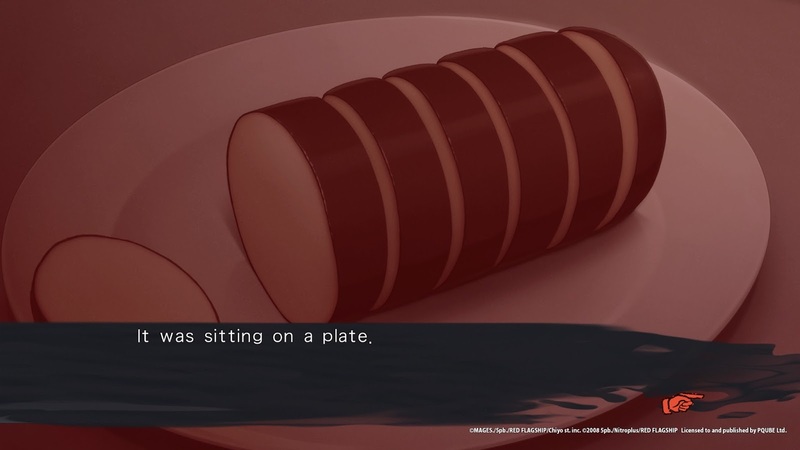 Chaos;Child does a good job of questioning the nature of reality around us, and specifically how fluid reality can be. We now know, through research into evolutionary psychology, that reality is indeed a subjective thing. I’ve spoken to leaders in the field and written articles about it in the past, particularly with how it related to Hatsune Miku, my favourite subject for one of the great questions in life: “what is real?” It's worth having a read of one of those to get a feel for the depth to which this topic really goes. This game is filled with people who have the ability to alter reality to, in effect, create their own realities. The crime story laid over the top is then an exploration of the greater social impacts that the ability to alter reality has as people are able to create more and more detailed realities for themselves. This is an important discussion that we need to be having, as virtual reality and augmented reality become ever-more present in our lives. Is the technology at the point where if can do what the delusions of Chaos;Child can achieve? Of course not… but then that future would seem to be much closer to a reality in the future than Steins;Gate’s time travel theme. As a result this game feels less of a mind puzzle and more urgent; it's more poignant and relevant to the real world, particularly when you consider that much of it takes place among people on the fringes of society - the otaku and the “weird,” and those are the first that will likely adjust to technologically-mixed or fluid reality futures. 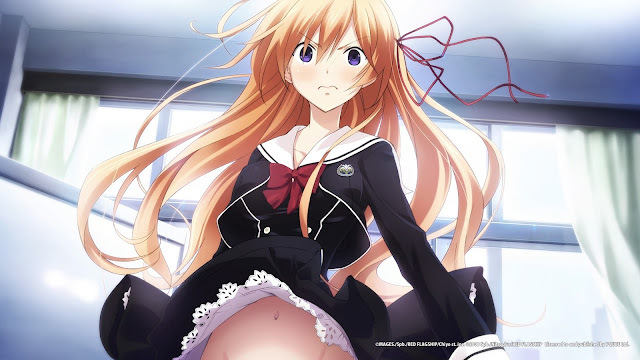 Throw in many of the crime fiction genre’s favoured tropes and red herring - tricks to keep people guessing, and you’ve got in Chaos;Child a labyrinthine plot that’s difficult to put down. It’s slightly less reliant on hard sci-fi language and tropes than Steins;Gate, which will make it more palatable for people that don’t spend a lot of time reading science fiction. 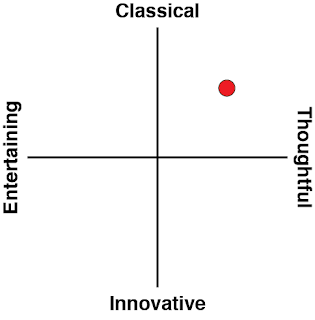 On the other hand, the twists are reasonably predictable for crime fiction tragics, such as myself. The exposition is still enjoyable, and the game is certainly smart enough that it left me plenty to ponder over... but looking at it purely as a genre piece, the plotting is a touch too predictable for its own good. The way Chaos;Child handles interactivity is really enjoyable, however. As with most visual novels, the interactivity is limited to a couple of options that pop up through the narrative. This time around, it’s a series of binary decisions that determine the kind of delusion that the main character periodically has. These delusions are split into “good” and “bad” - with the bad being particularly horrific - and the ending you get at the end of the game is based on which of these decisions you make throughout. As with Steins;Gate, Chaos;Child does an absolutely terrible job of telling you exactly which endings you’re angling towards. There is no feedback with regards to what kind of scores, switches and markers you’re setting off as you play. It’s a real weakness to these games compared to something like Hakuouki, where your decisions determine which character you end up in a relationship with, and there’s a handy menu that keeps you up to date with the “affection rating” for each character as you play. Overall I don’t hold the poor “gameplay” against a visual novel, because I’m here to read and not press buttons, and simply choosing different options generally results in a different ending. 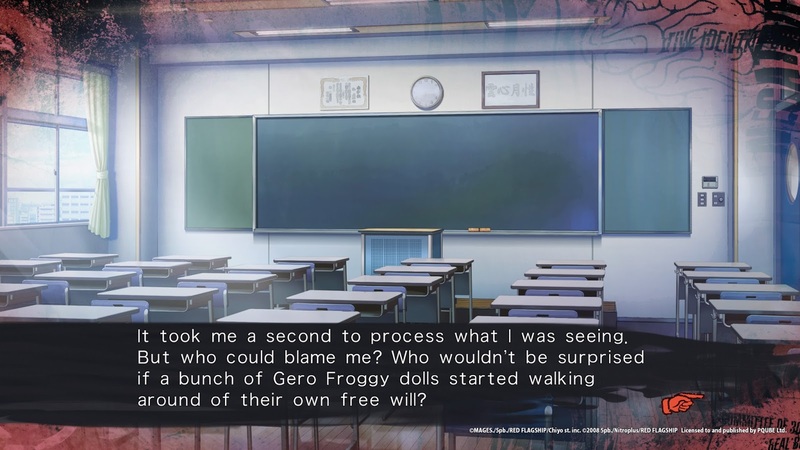 For Chaos;Child you’re going to want to make different choices anyway so you can experience the two different sides to the character’s delusions. But at the same time better feedback regarding the decisions that you do make would have been welcome. 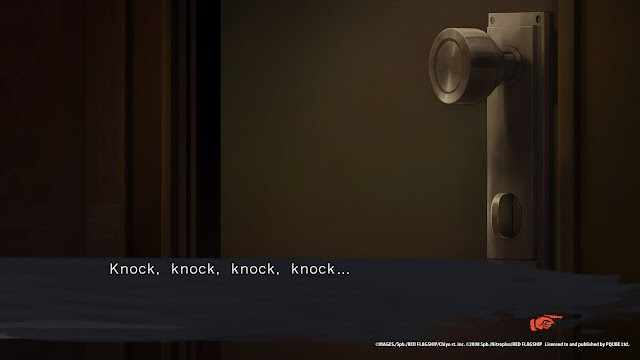 Again, without giving away any spoilers to Chaos;Child, you’re learn to fear those four noises quickly enough. The rest of the music will cut out, and like something from an Edgar Allan Poe story you’ll be fixated on four otherwise mundane noises, that come to represent something sinister and a portent for very bad things to come. Even moreso than the actual narrative, what Chaos;Child does so incredibly well is pitch its presentational elements perfectly. This is a game that has a wonderfully subtle use of sound and music; for the most part it will fade right into the background, being a merely pleasant accompanying soundtrack to the reading experience. It’s not unlike how I’ll generally put some headphones on and switch on a white noise machine to create the sound of rain, a thunderstorm, or a train rolling along tracks while I read “real” books. I firmly believe that reading is a far more engaging experience when there’s a pleasant - but not distracting - background noise, and Chaos;Child understands that. I couldn’t tell you the specifics of most of the game’s musical tunes because they fade right into the background. What I can say is that it put me in the mood to read without distracting me. Mission success. That is until the game wants to catch my attention and unsettle me. Knock. Knock. Knock. Knock. The unsettling, sharp sound of a music box set against the complete absence of any other noise. When I mentioned that Chaos;Child was vaguely horror themed at the top of this review, it wasn’t just because of the occasionally gruesome imagery. It’s because there’s a precise mastery over the use of sound and music to create suspense that is right up there with what the Carpenters and Cravens of cinema once produced (in other words, before cinema horror became all about sadistic goreporn). The art, meanwhile, is an impressive exercise in restraint and leaving enough to the imagination that the player is mentally engaged with what’s going on. With each crime scene, the most extreme moment of violence happens off screen. To give an example from the opening scene: we never actually see the fellow’s amputated arm. Much less him nibbling on it under the delusion that it’s cheese. We read about it in explicit detail, but the picture displayed on screen through all this is a simple log of cheese. Then we see him dead in front of the screen, but again, the scene saves us from the most gruesome parts of that death… or more accurately, perhaps, allows our minds to conjure something far more extreme than an artist would get away with drawing. The impact of this is massive. This rare initiative from a developer of a video game to lead the imagination to create the bulk of the visual imagery extends beyond the horror, too. There’s a rare moment of fanservice in the game - one assumes to lighten the mood between moments of grisly murder - in which a gust of wind blows a girl’s skirt right up, but the scene is drawn in such a way that we see the skirt flapping in the breeze, but not the rest. “So… white huh?” The protagonist says. And that’s that. As with every visual novel, the art is predominantly static images, but where most visual novels aim to represent as much of the text as possible within each static screen, Chaos;Child is one of the few I can recall where, through deliberate design, the complete picture of a scene relies on the interplay between text, static screen, and player engagement. The developers run the risk of an unengaged player interpreting this as “cheap,” but I appreciate the subtlety of it. It certainly better approximates the experience of reading a book that most other visual novels. Chaos;Child is a smart crime fiction/ science fiction mix that might be a little too subtle for its own good. 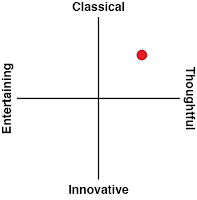 It’s a demanding game, not because it’s difficult or has gamey elements, but rather because it asks for complete focus and imagination from its players. Thankfully, with a core theme that is both poignant and fundamentally interesting, this is a game that I’ve been more than willing to make that commitment to.